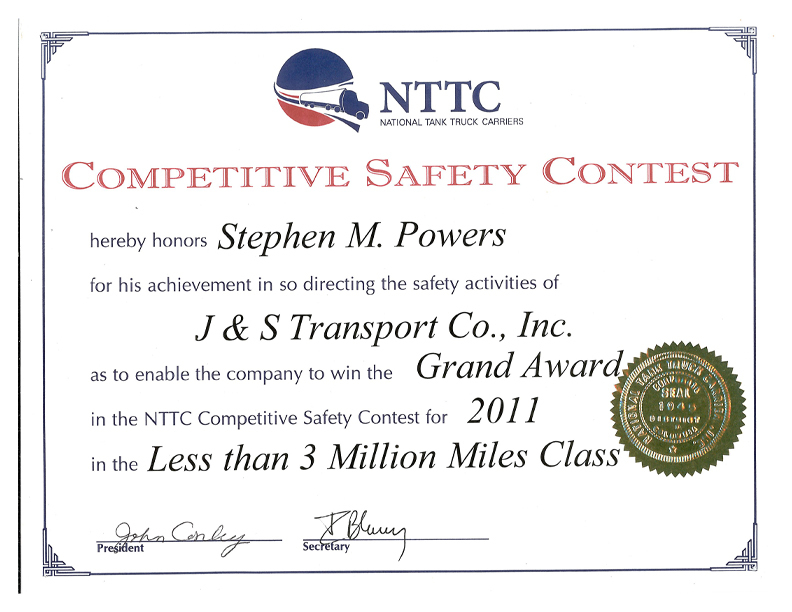 J & S Transport was formed in 1992 in Lynn, MA. As founding owners I and my wife Sharon Hamel still operate successfully today. The company, when formed, was made up of one tractor and leased trailer. The driving team was made up of two drivers consisting of another driver and myself. The truck was worked around the clock to provide the most economic benefit. The company has now been built to a fleet of six tractors and seven trailers. Sharon and I continue to maintain the company stability and success at the helm providing the direction and guidance to orchestrate the day-to-day activities of running the company. The operational expenses are closely monitored and tires are a significant cost. 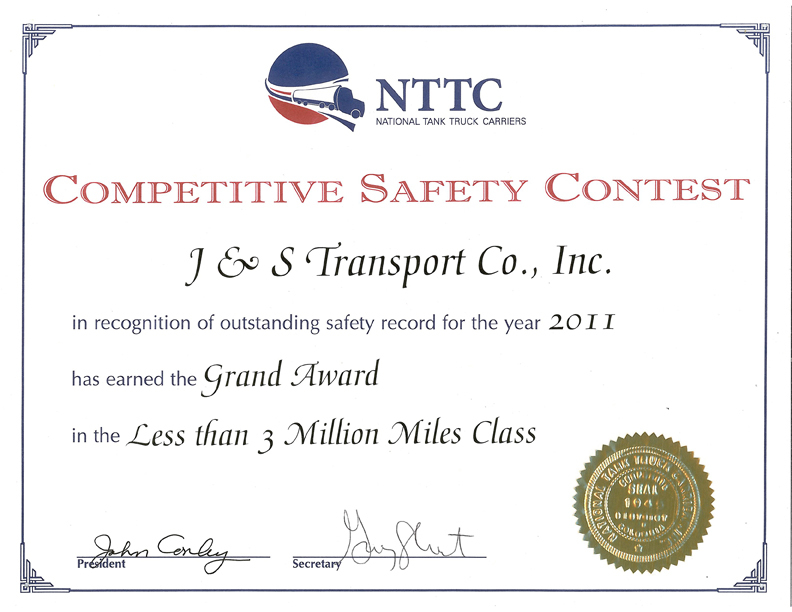 J & S Transport had been using the dual tire configuration from 1992-2005 with success. Various tire companies were tried from 1992-2000 in an effort to improve the companies operating economics by enhancing the performance of the tires from a mileage/longevity standpoint. In 2000 we made a decision to use 100% Michelin tires. In 2005 the X ONE XTE 455/55 22.5 (trailer tire) and X ONE XDAHT 455/55 22.5 (drive tire) had been tested on one of the fleet tractor-trailers. The tire was selected based on historical data provided by Michelin that demonstrated that the X ONE would provide a superior stability, fuel economy and would be lighter as to be able to haul >1.2% more product. After testing the X ONE tires the initial results demonstrated that the X ONE could not withstand the weight and torque applied from the load of fuel (99,900 lbs). Evidence illustrated that the X ONE would peel and tear apart prematurely. In communicating these results to Michelin it was also explained to J & S Transport that similar results were being experienced in various other applications that would apply similar stress on the X ONE tire. In working with Michelin over the next two/three years a multitude of chemical compositions for the X ONE tire were developed and tested. Each iteration of the X ONE tire demonstrated enhanced mileage performance starting from approximately 70,000 miles of life on the original X ONE to the current 125,000 miles of life experienced today using the X ONE XDAHT (drive tire) and the X ONE XTE (trailer tire). The savings realized in using the X ONE tire were three fold. The first was the savings associated with having to change the tires less frequently which resulted in a 9% annual savings for replacement tires. Secondly was the additional revenue realized due too the reduction in tire weight providing J & S Transport and opportunity to haul 1.2% more product resulting in additional revenue. Lastly a 17% increase in miles/gallon was recognized after switching to the X ONE. In addition to the savings realized by the X ONE a safety concern was also addressed by the development of the X ONE XDN2. J & S Transport had concerns about the inclement weather performance of the X ONE historically (data provided by J & S Transport drivers) being identified as not providing sufficient traction as compared to a dual tire configuration. As a result of this concern Michelin focused specifically on the tread design in developing the X ONE XDN2. Since using the X ONE XDN2 tires the J & S Transport drivers have reported that the X ONE tires are providing significantly improved traction in snow conditions. In closing it has been an extremely positive experience in working with Michelin and in particular using the X ONE tire. As noted in the aforementioned statements that even during unsuccessful trials Michelin stood by J & S Transport, utilizing their expertise and technical support, to provide an expedient cost effective solution. J & S Transport looks forward to a long working relationship with Michelin.